Good Old Pappy. Bandits Whiskey of The Week! This Bourbon is amazing! It has a small forgiving burn to it, but that comes from it being 107 proof. The burn makes your lips tingle as it travels down to warm your chest from the inside out. As you breath after the first sip, the small tingle starts to cool and you taste all that this amazing Bourbon has to offer, Carmel, vanilla, toffee and nothing but oak barrel. This bourbon is made with wheat in the corn mash which helps to add to it’s over all smooth drinking (not to mention it is aged 15yrs!). From a novice bourbon drinker to an expert, everyone will know why you suggested this bourbon to them. 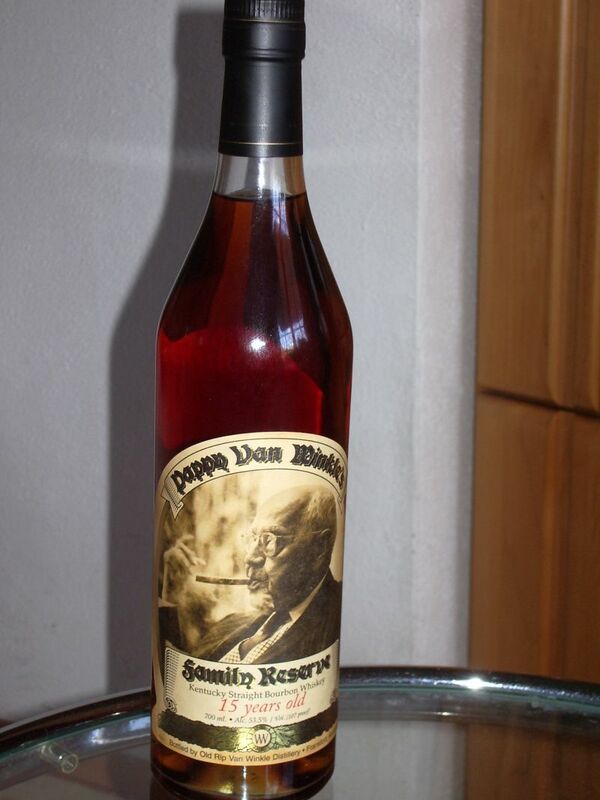 Pappy Van Winkle can turn any Scotch or Irish Whiskey drinker into a believer of Bourbon! The price per shot isn’t bad as well, you really do get a great product for the dollar amount. We sell if for about $13 a shot. Come down to the pub, bring a cigar, and grab one of these bad boys! This is Bandit approved for sure. See you at the bar!